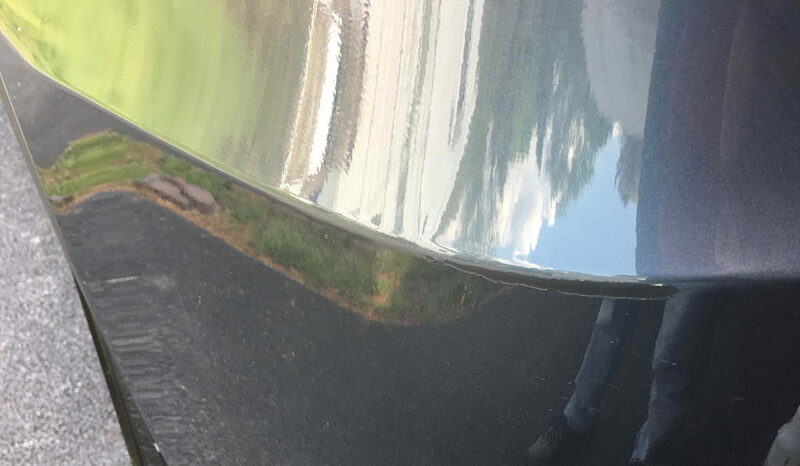 The dent wasn’t huge, but I noticed it each time I opened the hatch. The hook didn’t crack the paint, but it did crack the clear-coat, which will become an issue shortly. I started by buying a cheap set of PDR tools on Amazon. First tool to try is the external dent puller. 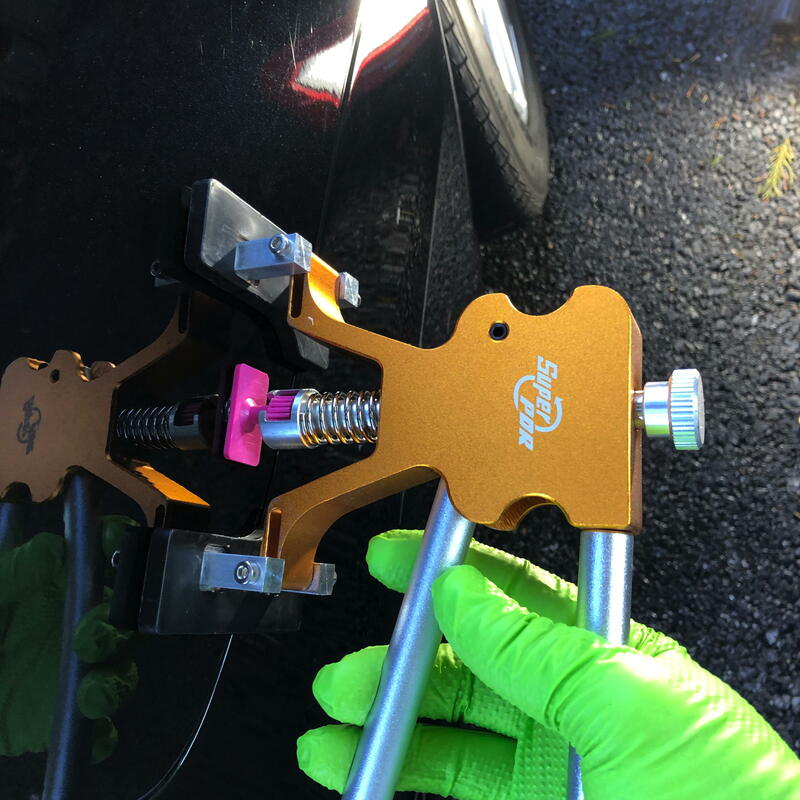 This tool pulls the dent from the surface using small glue tips that pull and release. After several pulls, you can start to see the dent getting smaller. That is, until it just pulls off the clear-coat that was damaged by the falling hook. 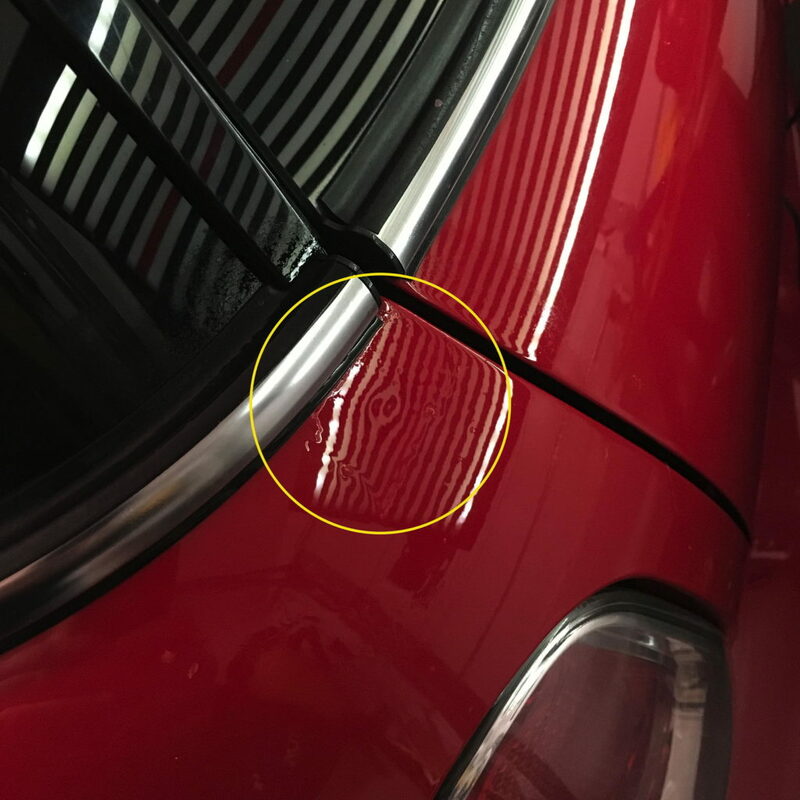 I was getting the dent to move, but crossed the line into “not-so-paintless” dent repair. I chipped away additional failing clear-coat and pulled a few more times. 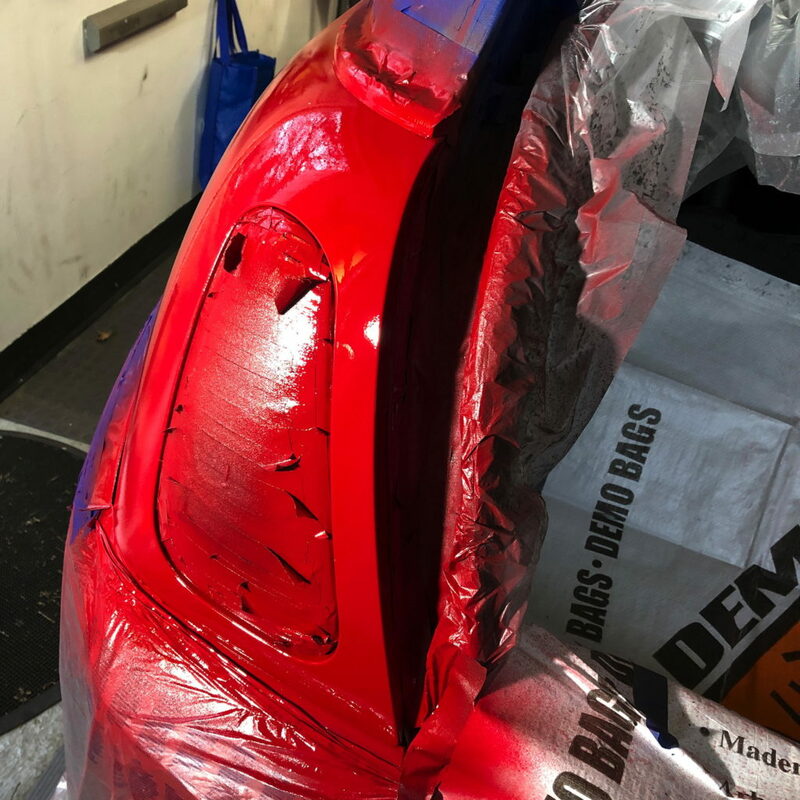 I was making progress, but since I was now pulling on the base coat, I thought it best to shift to the inside and try pushing with other PDR tools in the bag. I made pretty good progress pushing from the inside and hammering from the outside. I probably would have kept up with this approach if the clear-coat wasn’t missing. Another hour and it would be almost undetectable, but since I was going to have to use some filler to try to level the clear, I just switched over to the Scratch Wizard body filler. It was ready for paint. And clear-coat. 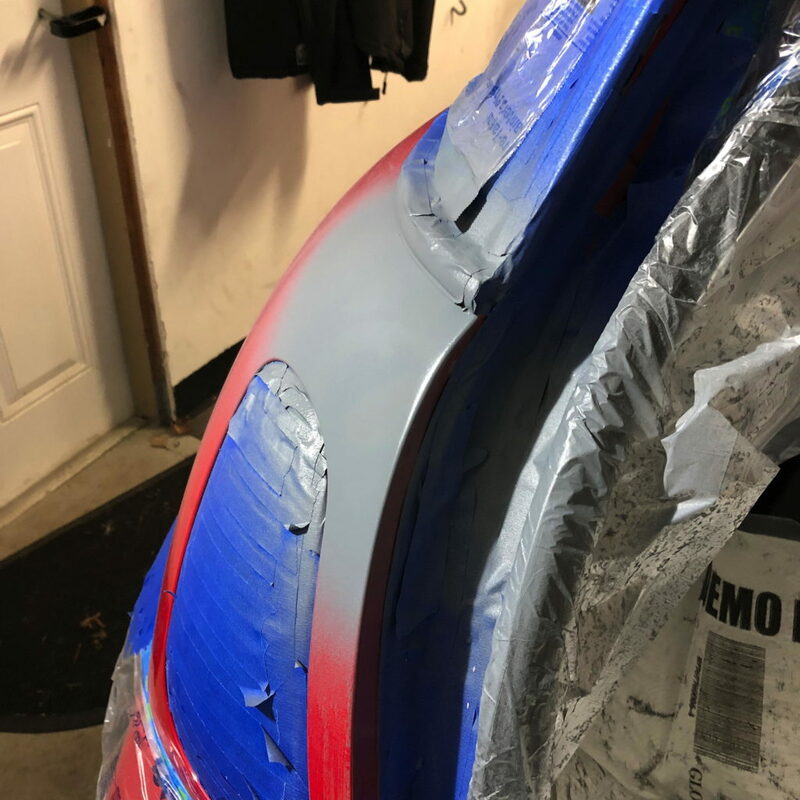 All together, there were 5 coats of primer; 4 coats of paint; and 3 coats of clear-coat that I tried to feather into the rear quarter panel. I need to level the paint after it hardens a bit and then seal. Total repair cost: $125. I’m pretty happy with it. Now on to the hatch lid where the clear-coat is failing in large chunks. I’ve been thinking about covering the hatch lid in vinyl then removing it. If it works like the test area above, it will come off in sheets. Someone backed into my wife’s Audi over Thanksgiving weekend damaging the bumper cover and leaving a small dent and no note. 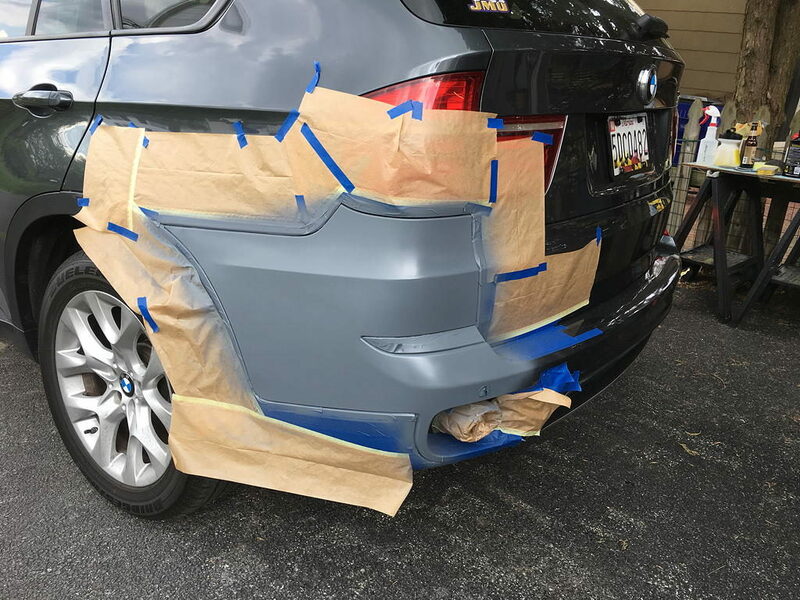 Before taking it to the paint shop to get the entire bumper cover repainted, I thought I’d see how much I could correct with buffing, touch-up paint, and with a commonly available bumper repair kit. 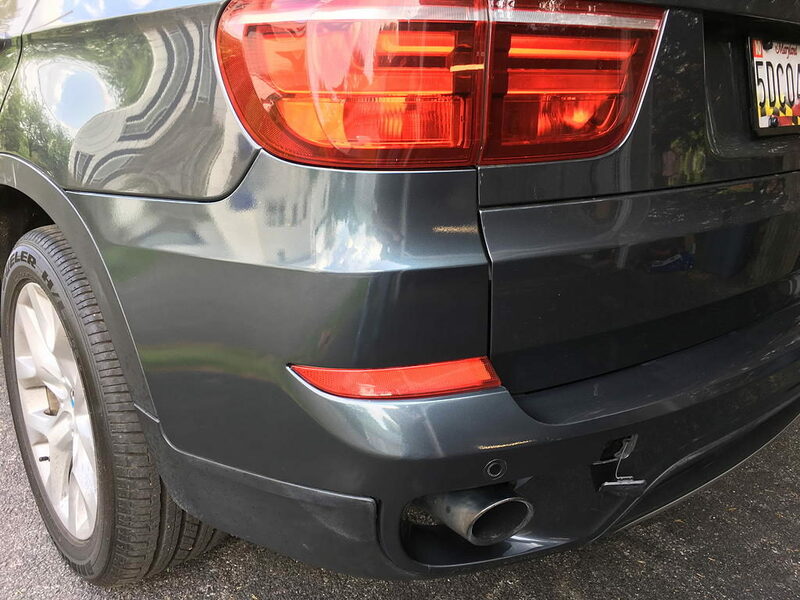 This is a 2015 Audi A4 with Mythos Black Metallic paint. 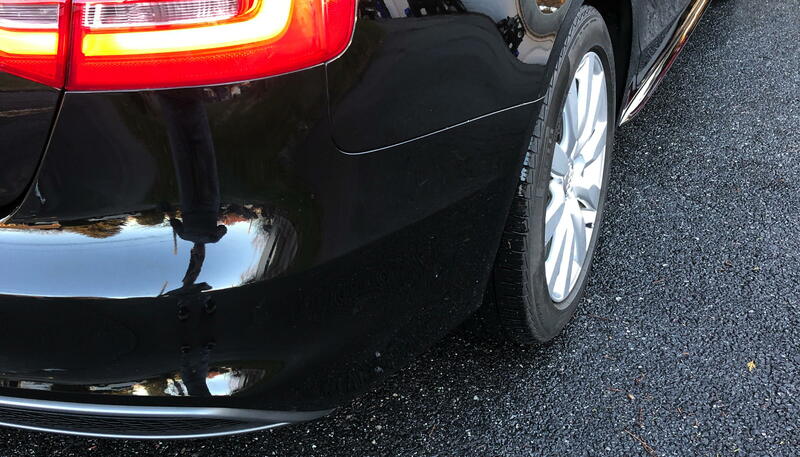 Working with black paint is always a mixed bag: when the car is dirty, black hides a lot of imprefections. 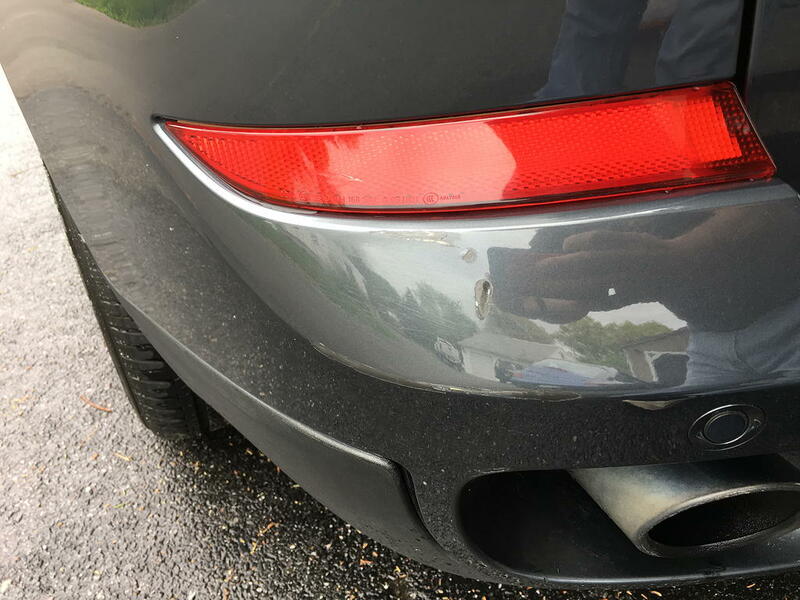 But when it’s clean, minor defects really stand out. 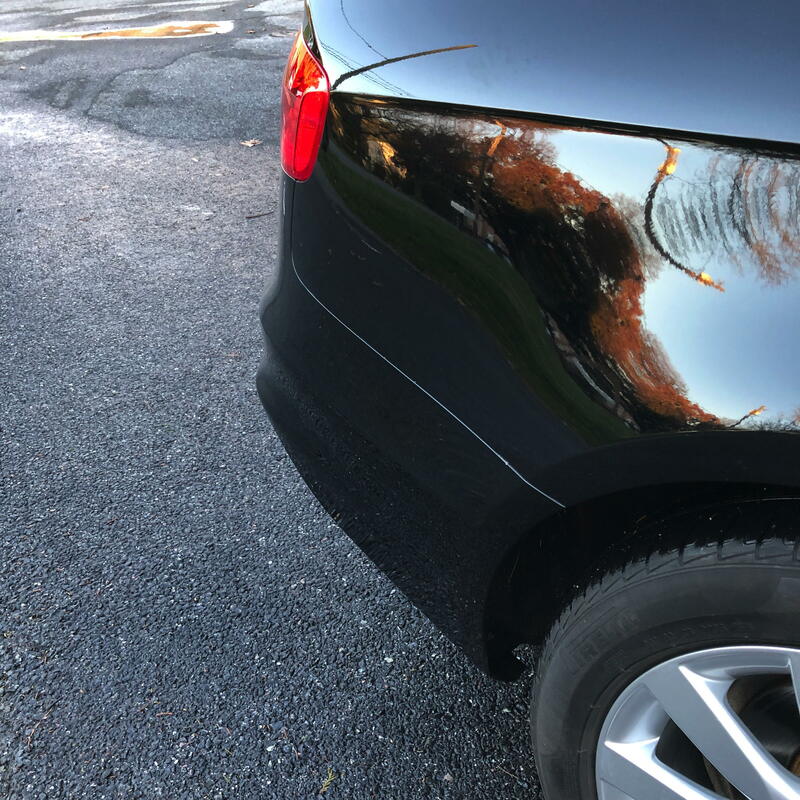 Audi clear coat is pretty thick so you can usually be fairly aggressive when compounding surface scratches. 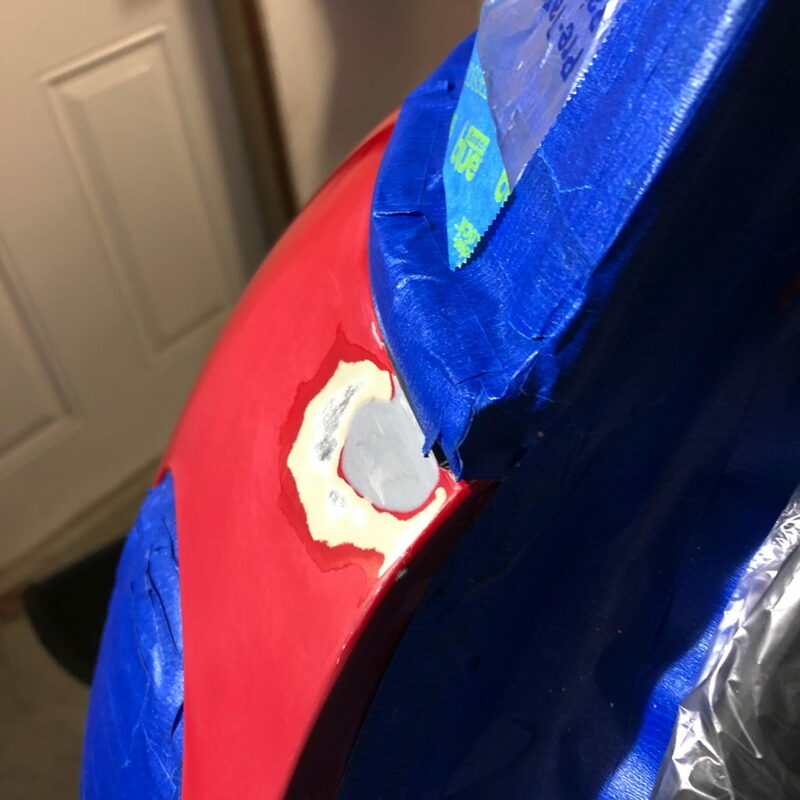 What you initially see is a combination of paint transfer from the other car, scratches in the clear coat, scratches through the clear coat to the base coat, and scratches through the base coat to the plastic. Before starting, I always check that the paint isn’t cracked at the point of impact. If it is cracked, you might as well skip ahead and have the entire cover professionally painted as it will never look right with DIY repairs. This one isn’t cracked, so we’re moving ahead. Thoroughly clean the area and see how much of the surface paint transfer you can remove with your thumbnail. You would be surprised how much you can move with just your thumb and a magic eraser. My next step is to compound and polish. I’m using Sonax 04 06 and Fine Abrasive Paste. I start by polishing the surrounding area, then switch to the 04 06 to take on the worst areas. I make a couple of passes, checking that I’m not building up too much heat, and then finish with a couple passes of polish. What I’m left with are mostly scratches through the clear coat and deep scratches through to the plastic (and the dent circled in red). 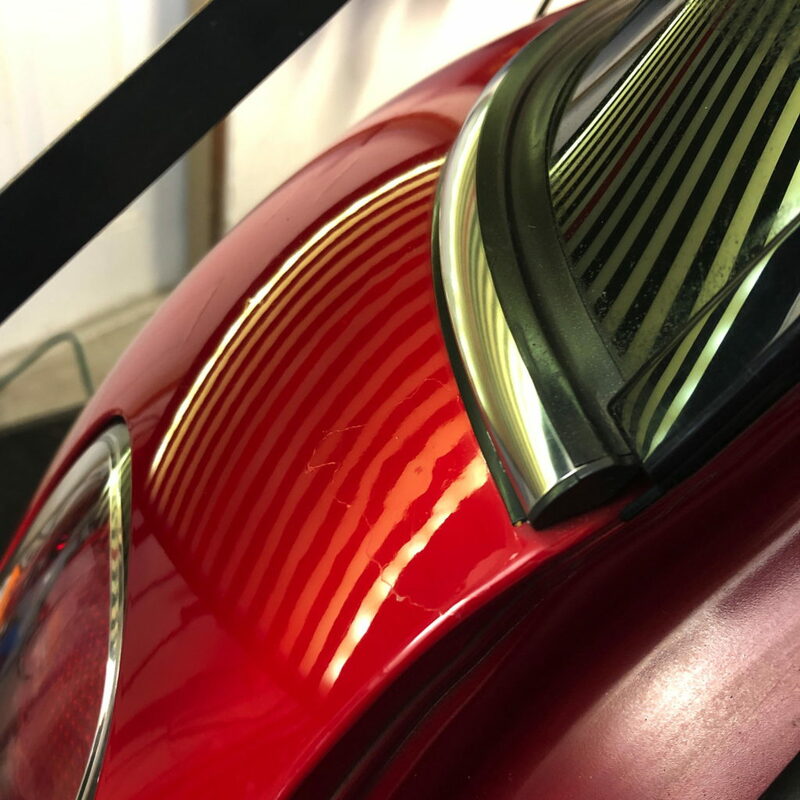 I’m going to have to sand and paint eventually, but since I never know when I’m going to have another day above freezing before April, I thought I’d see how well I can try to hide some of the damage with touch-up paint: Paging Dr. ColorChip. I’m a huge fan of the good doctor, but long scrapes and deep gauges are not the intended application of this product. I’m going to be putting the paint on thick and not blending it into the surface. The goal is to mask the problem from five feet away, not create a perfect finish. I try a broad application using the squeegee to begin (and this I do try to blend with the magic elixir.) Then I dab paint to fill the deep gauges. The finished result isn’t bad, and if this were your typical commuter beater , I’d be tempted to stop there. But this car is remarkably ding-free for a three-year old car with 50,000 miles. 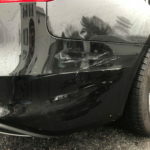 So it’s on to the dent repair. 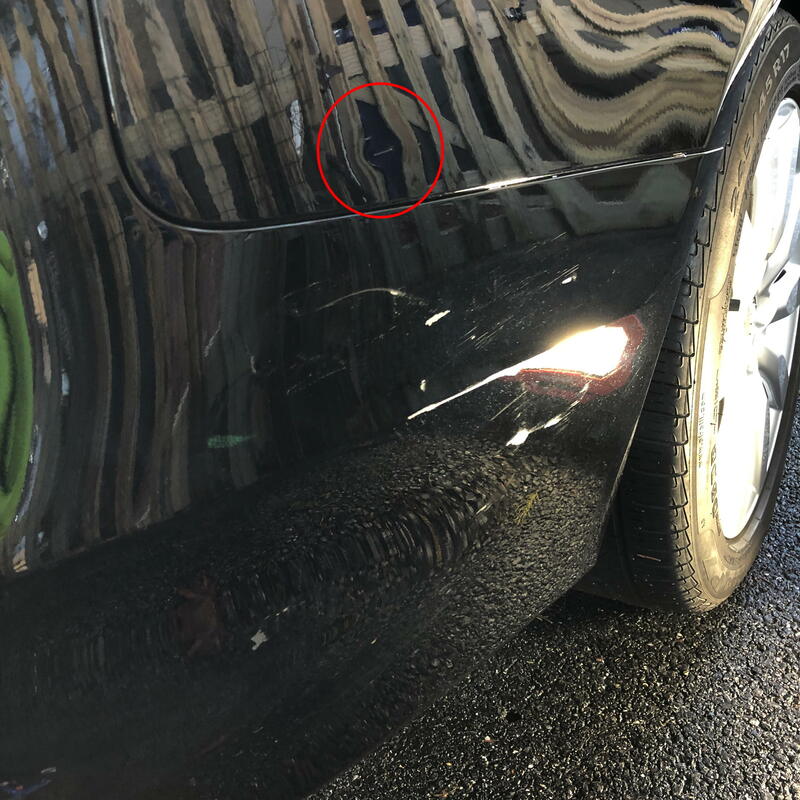 The dent is actually in a fairly accessible spot. By removing some interior trim in the trunk, I can easily reach it to press on it from the inside as I try to pull on it from the outside. 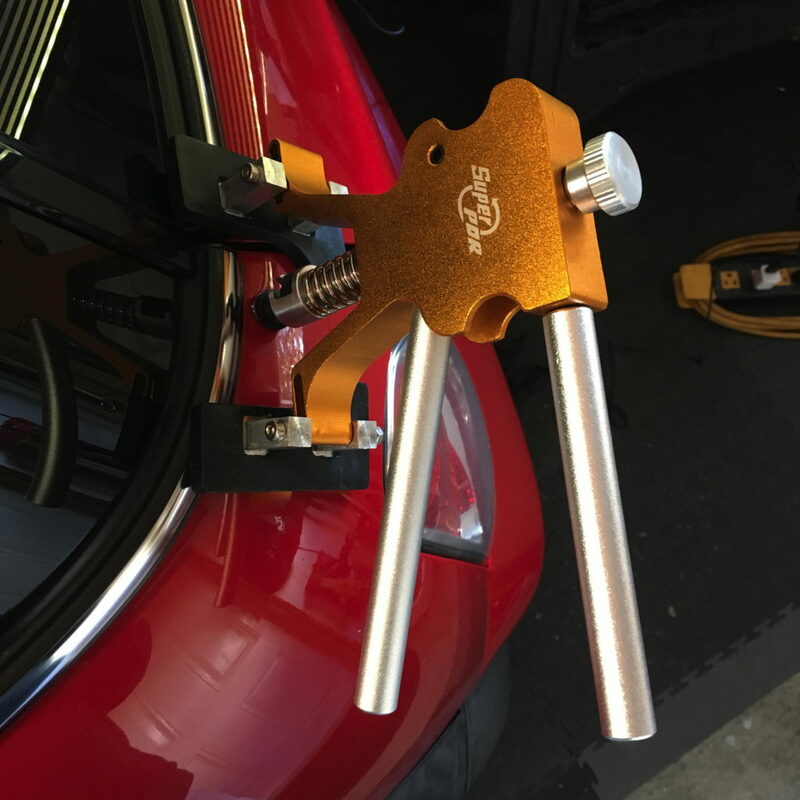 Before I break out the PDR pry tools, I thought I’d see how far I can get using the glue-gun external puller that you can get from Amazon. 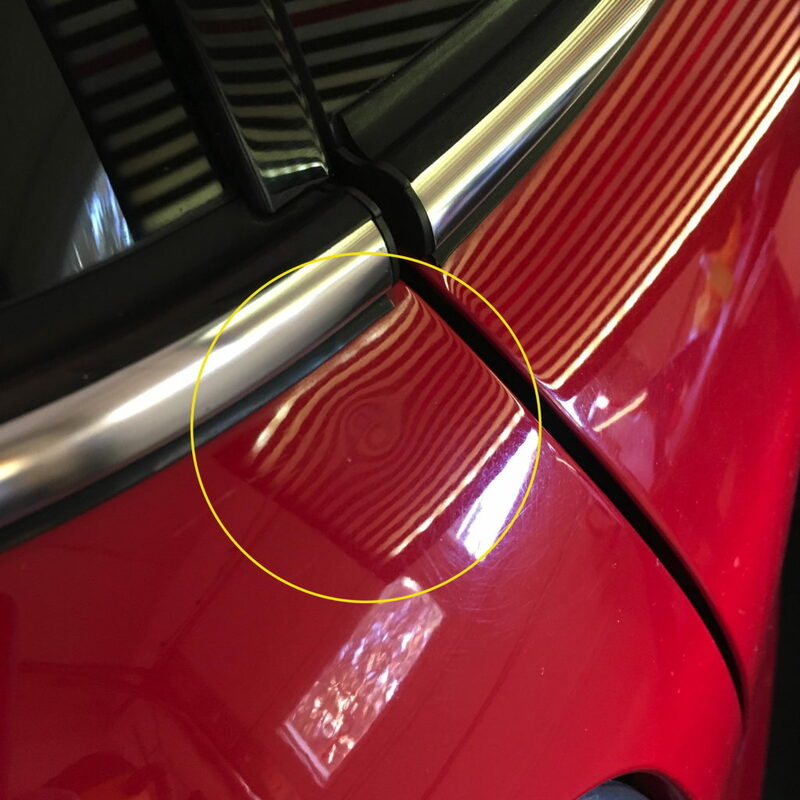 If your paint isn’t damaged (and your clear coat is strong) you can pull many dings from the outside using just a glue tab and a puller tool. It’s a little more complicated when the ding is more like a crease as is this one, but the idea is the same. You glue a little tab to the outside and apply pressure to pull it back into shape. This actually worked pretty well. 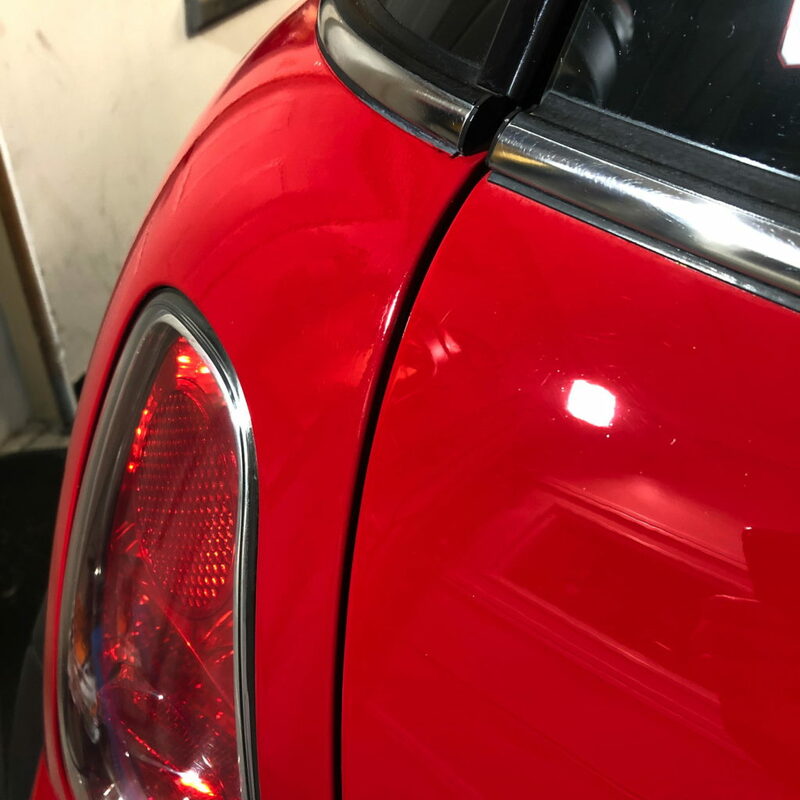 I ran out of daylight, but got most of the dent out and now just have a scratch to deal with and a little bit of prying to do from the inside to get it flush again. That’s it for part 1. From five feet (and especially in low light) it looks presentable. The Scratch Wizard bumper kit has been ordered and as soon as it arrives — and I have a day off when it’s above 60 degrees — I’ll see if it does a decent job of blending with the original paint. If not, then it’s off to the pros. 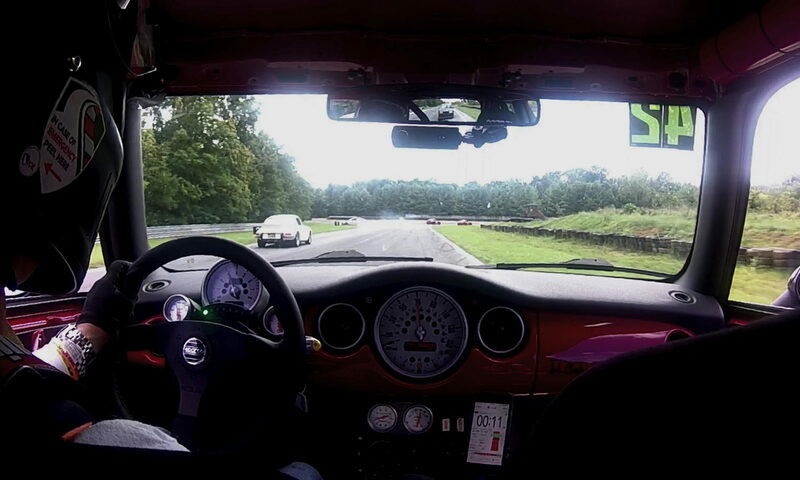 If you’ve read any prior posts on this blog, you know I’m a huge fan of Dr. Colorchip. For small paint chips and scratches, the good doctor cannot be beat. But when the chips and scratches get bigger, the repair isn’t usually as simple. So I thought I’d try out some other products on the market to see if they work as advertised. Today I’m trying the ScratchWizard system. First some background. I bought a 2013 BMW X5 in the fall of 2017. 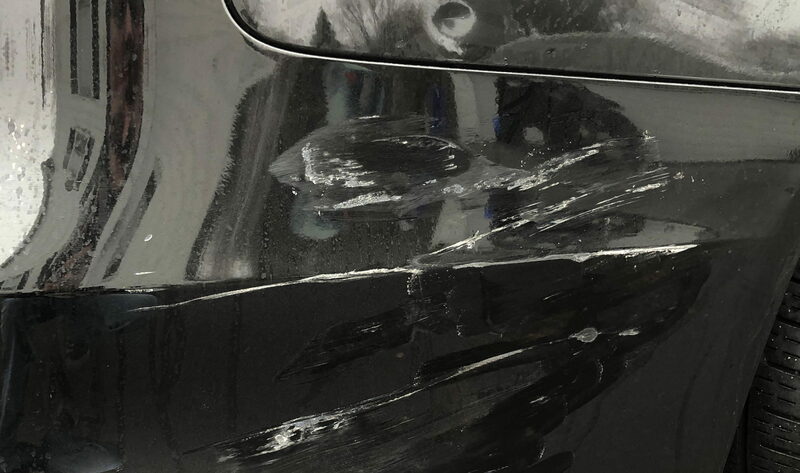 Although it came equipped with Park Distance Control sensors and cameras (back and side), the previous owner (aka Mr. Magoo) managed to scrape some paint off of all four corners. 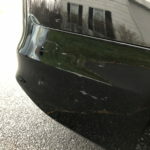 I bought a bumper repair kit from the ScratchWizard last November, and it took until May before the weather was nice enough for me to use it. I followed the video instructions more or less, starting with two problem areas. First was this huge chip and scratch on the top edge of the bumper cover. And secondly, a large scrape along the fold. One good thing about the color of this vehicle is that it hides scrapes really well, and I didn’t initially see this scrape until I started to work on the other one. I didn’t want to use filler on plastic so I tried my best to repair the areas just by sanding before using the primer. The key I’ve discovered is to go big. 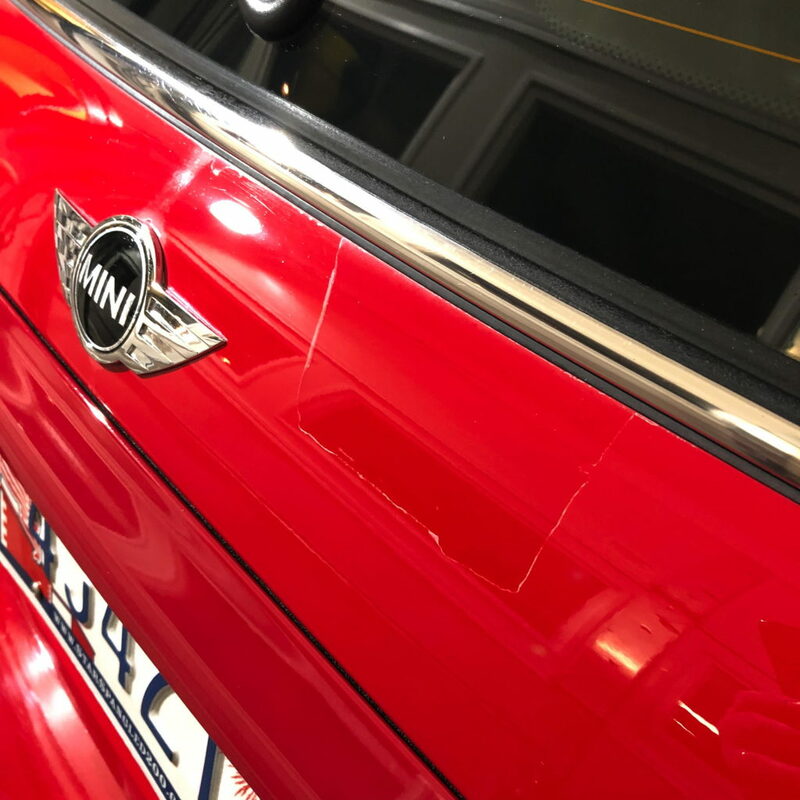 Take advantage of the natural panel seams and plan ahead where you want to blend into the original paint. If you mask off a small area, you’ll get hard lines and the repair will be more obvious. Follow the instructions allowing 10 minutes between coats, and 30 minutes between primer and color, as well as color and clear. Each step involves a light initial coat, followed by two medium-heavy coats. 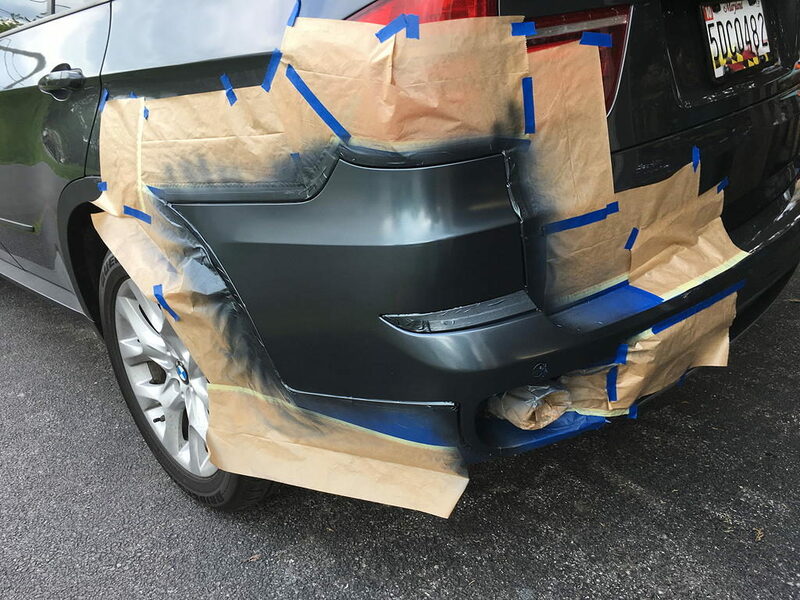 You want good coverage, but you don’t want the paint to sag. Metallic paint is usually tough to match, but this came out pretty well. I’m really happy with the result. Once the paint has hardened for another month, I’ll level the clearcoat with Meguiars 105. Result.